Following weeks of traveling across some of the most deserted Asian regions, finally the trip gets to the city full of life – Beijing. For the last twenty years the city has enjoyed an economic freedom that turned it to an international business meeting point. Here you can spend a week or two or maybe more. The food is tasty and cheap, and you can find a decent place to sleep at whatever price. Today there are more than 10 million people living here and the city's development has been like a real explosion in the last five years. It became a capital 1000 years ago and in the year 1400 the Forbidden City was built as the residence of the Chinese emperors. 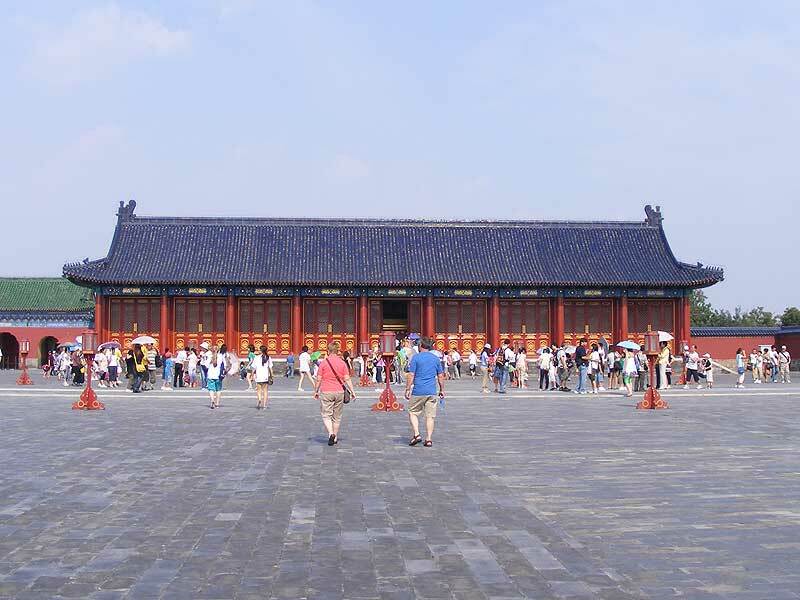 The central district is divided in northern, southern, western and eastern parts with the Forbidden City and the emperor's palace in the middle. The city plan reflects the Chinese perception of the world where the palace area symbolizes China as "Middle Kingdom" (or Central Kingdom). Other places that should not be missed are the Tiananmen (Heavenly Peace) Square, the Temple of Heaven, the Summer Palace, and of course one-day trips to the Great Wall and the Ming Tombs. From Beijing one can fly back home or continue exploring China and the region.